As you may already know, I’m very into bags. From tracking down the best from fashion week street style to curating my own little collection to simply seeing them in my day-to-day work “research,” if there’s a cool purse out there, I know about it and have likely already considered buying it. So in my continued effort to bring you all some grade-A content, today I thought I’d round up my favorite designer It bags of the moment but with a very exciting peg. From classics like Prada and Miu Miu to newer brands like By Far (that Kendall Jenner just happens to be sporting above), I’ve rounded up the 34 coolest, brand-new, under-$500 purses on the market right now, just for you. Since I likely lost you at under $500, I’ll end it here and let you continue on to shop. This brand is really blowing up right now. I'm all for Prada this season. This one is a street style hit. These just keep getting better and better. Cool shape, cool material, cool color—what more could you want? I'm getting '90s vibes all the way. I'm obsessed with this print and color. For those looking to step up their black-tie game. MNZ can do no wrong if you ask me. This is how you make the woven bag work for the colder seasons. Something about this shape is so unique and classic at the same time. There's no shortage of amazing mock croc out there for fall. The vintage-inspired print inside this bag is such a nice surprise. I think the furry bag trend will continue going strong this winter. The OG of beaded bags. Add polish to any outfit with this. 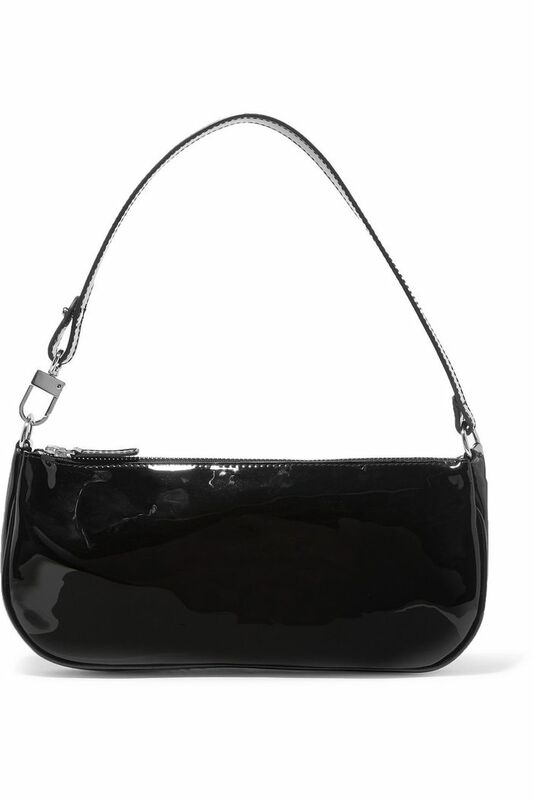 If you're over your basic black clutch, let me suggest this beauty. So wearable, yet so cool. All things animal print go this season. Just the right amount of edge. Few brands can do mock croc like Nanushka. Possibly the most eye-catching of the bunch. Pro tip: Hunter green matches almost anything. Wear it from work to drinks seamlessly. Don't say I didn't warn you: There's only one left in stock! Had to add something super classic in. Why am I so oddly obsessed with this one? As you can see, a little velvet makes anything fall-ready. Perfect for the upcoming holiday season. Up next? Shop 22 things I actually wore this month.